Colorado Avalanche Defenseman Out with MCL Injury | Podiatry Associates, P.C. It’s that time of year again, the Stanley Cup Playoffs, and the Colorado Avalanche are in the midst of battling the Minnesota Wild in order to advance. Yesterday, it was announced that Tyson Barrie took a hit to his knee from Matt Cooke and incurred an injury to his MCL that will keep him out of the game for 4-6 weeks. Ryan Wilson is to replace Barrie on the Avalanche defense. Unfortunately, an MCL injury can happen to anyone who is involved in sports, not just the pros. It could happen to you! 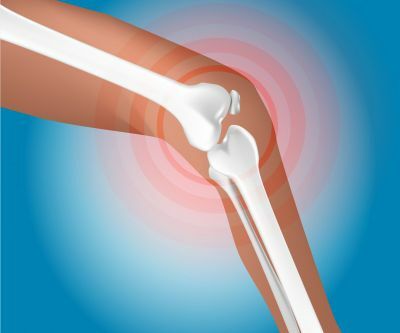 Your medial collateral ligament, or MCL, is a band of tissue located on the inside of your knee that connects your femur (thighbone) to your tibia (shinbone). An injury to the MCL usually occurs when the outside of the knee is hit and the inside ligament is stretched or stressed. It can also be injured during twisting, pivoting, or changing directions quickly. If your MCL has been injured you may experience pain and tenderness, swelling, and even bruising. If you believe you may have injured your MCL, one of the physical therapists at Castle Pines Physical Therapy can evaluate your knee and design an individual treatment program for you. From prescribing home remedies like icing to walking you through exercises and stretches designed to strengthen your MCL, we can help you heal and return you to the physical activity you love! Contact us today at 303-805-5156 to schedule a one-on-one evaluation.